The Twigby App gives you 24/7 access to your account. View and make changes to your plan, check your account balance, pay for your service anytime and anywhere and so much more. The Twigby app is available for all smartphones. Get 24/7 access to your account, make changes to your plan, check your balance and pay for your service anytime. 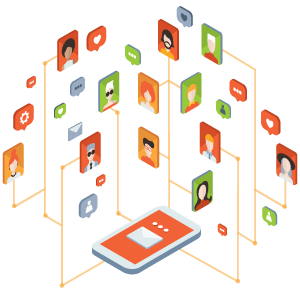 We want to make sure that every customer is informed and has access to free apps that can enhance their Twigby experience. To help make the process of finding these apps as easy as possible, we’ve provided a selection of free apps, researched and tested by our team to get you started. and pay for your service anytime. to find other free apps. Whether frugality comes naturally to you or you work hard to stay tight on your budget, these apps will help you with all of your money-saving needs. They can help you build a budget, track expenses, and even get money back! GasBuddy is a smartphone app connecting you with the lowest gas prices on your next pit stop. This app will also tell you which gas stations have the friendliest service, cleanest restrooms, best coffee, and more. Mint allows users to create budgets, track spending, and much more. You can stay on top of your bills by syncing them with your phone’s calendar and receiving alerts from Mint. Mint users can check their credit score and keep track of changes. iBotta makes it easy for you to earn cash back on everyday purchases all in one app. They partner with leading brands and retailers to give you rebates on groceries, electronics, home goods and more. They have paid back more than $200 million. One of the best ways to save money is by joining a store’s loyalty and rewards program. If you’re anything like us, your wallet is packed with all the cards for these programs. Key Ring is an app that allows you to keep these cards in one place. This app is a barcode and QR scanner. It will allow you to scan an item to compare prices across numerous stores. It makes in-store and online shopping a breeze by doing all the price comparisons for you, saving you time and money. EveryDollar is an app to help you plan a monthly budget in just a few short minutes. Whether you are new to budgets or have always loved crunching numbers, you’ll love the simplicity of this app. It makes budgeting a breeze. restrooms, best coffee, & more. Get cash back on everyday purchases. by comparing prices to other stores. minutes, making budgeting a breeze. Help keep your children away from inappropriate sites and content. Install one of the following apps on your child’s Twigby phone. Keep track of your child’s electronic behavior. Set time limits for your child from your own phone, restrict apps during school or at bedtime, and pause your child’s phone or reward them with bonus time. This is a simple way to monitor your child’s online activity. You can filter inappropriate websites, view the websites they access in real-time, track their Facebook activities, and more. This app allows parents to set filters for their child based on age or category. You can use advanced real-time analysis content filtering to quickly rate every website as it is accessed. Help keep your children away from inappropriate sites and content. Install one of the following Safe Browser apps on your child’s Twigby phone. Track your child's electronic behavior. pause their device & monitor usage. time & track their Facebook activity. they are accessed in real time. Keep up with your family members and know where they are at all times with a GPS tracker app. Install one of the following apps on your family member’s phone to keep better track. 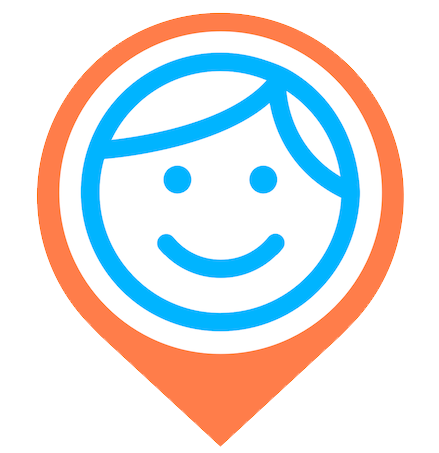 Your child can share their location safely using GPS tracking with friends and family. Only those that you select your child to share with can view their Glympse from any web-enabled device. Quickly locate family members on a map. View real-time location on a private map, receive real-time alerts when your child arrives or leaves from their destination, and see their past location history. Families can share their location on a private map and communicate with each other in real-time. Get alerts when family members arrive or leave destinations. Plus, this app provides a Panic Alert option. child can share their location safely. destination, & see past location history. provides a Panic Alert option. Your smartphone provides convenience in so many areas of your life. Did you know your health is one of those? These apps will help you anywhere on your health journey whether you’re just starting out or a pro in the gym. Create personalized weight loss goals, set a daily calorie goal, plus keep track of your food and exercise. Join a community with those who have similar goals. Keep track of your routes whether you walk, jog, or run. Share your workouts with friends and get personal stats to improve your performance! Use templates for interval training such as HIIT, Tabata, and Circuit training. Set custom timers to create the perfect workout tailored to your needs. community who share similar goals. Track your running & walking routes. perfect workout tailored to your needs. The following apps are perfect for seniors looking to update their smartphones. Try these apps for health and productivity to make your smartphone experience even more enjoyable. 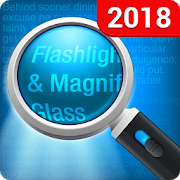 Turn a phone’s camera into a magnifying glass & flashlight. It's an excellent tool for those who have trouble reading. Enlarge text by up to 5x and take a picture of what you’re magnifying if you need it later. Medisafe helps you keep track of your medications, supplements & vitamins. It reminds you to take pills, track blood pressure, glucose and more. You can also share results with doctors. Challenge your brain with fun puzzles that train your 5 core cognitive abilities. Based on your initial test, the app will design a special program tailored specifically to you with daily challenges to play. Sometimes it seems that app developers only focus on the younger generation. We are here to help. The following are some apps that are perfect for seniors looking to update their smartphones. Try these apps for health and productivity to make your smartphone experience even more enjoyable. with a program personalized to you. Quickly compare prices from your home or at the store to save time and money on the items you’re looking for. This app offers more than just price comparisons. It also lets you know when there are sales on items you choose. Plus, it confirms where you like to shop and won’t show sales at stores you prefer not to visit. ScanLife is simple to use. The main screen is the barcode scanner, which saves time when you want results on your item quickly. Simply check the barcode and you get the results. money on the items you’re looking for. updates you on sales for items you choose. barcode scanner, which saves you time. Most smartphones have number blocking abilities for calls and texts. However, here you'll find some free apps that help reduce the number of unwanted calls or texts even further. Truecaller identifies and flags unknown numbers, identifies every unknown SMS, and creates a separate folder for spam messages. You can also look up numbers to identify who they are. 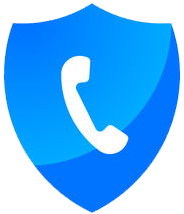 Block unwanted calls and get more information about numbers from outside of your contact list. Flag unknown numbers as spam, identify incoming calls and block potential neighborhood scam calls. Look up numbers and block phone numbers or area codes. 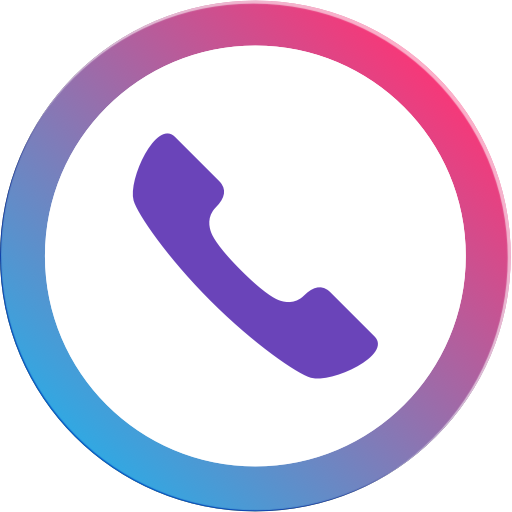 Plus, their community blacklist automatically blocks thousands of spam callers already known to the Call Control system. blocking abilities for calls and texts. unwanted calls or texts even further. look up numbers to identify who they are. outside of your contact list. already known to their system.